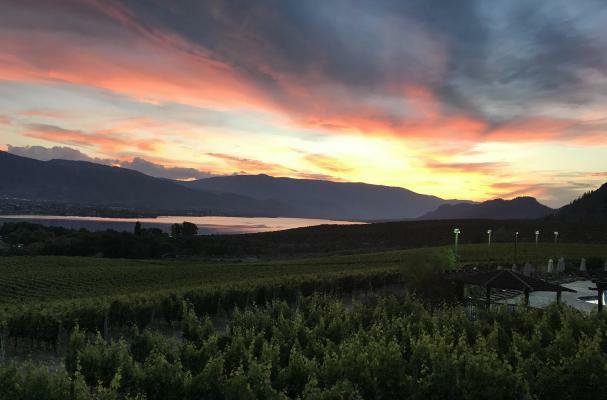 British Columbia may not be the first place you think of when seeking an excellent wine-touring destination, but it should be! BC has five major wine regions and has grown from 17 wineries in 1990 to over 275 currently. Over 84% of the grapes of Canada are produced in the Okanagan area of BC. The other areas are Similkameen Valley, Fraser Valley, Vancouver Island and the Gulf Islands. One reason that it may be surprising is an assumption that BC is too far north. As an example, the 50th Parallel Estate Winery, near Kelowna BC, is about 82 miles north of the US border, so very far north of Napa. However, much of BC gets almost 2 more hours of daylight than Napa, which definitely gives the area an advantage for growing hours. When determining whether a particular crop will grow in a certain area, agriculturalists use a heat index known as Growing Degree Days, or GGD. The GGD units are calculated by a formula that subtracts the crop’s reference temperature, which varies by species, from the daily mean temperature of the area. This formula provides a GGD number for the region. So, while the Okanagan Lake is very far north, the GGD for the region is 1200 in the north and 1566 at the southern end of the lake. This compares to Napa’s GGD of 1458, or Burgundy, France which is 1319. But what about those cold Canadian winters? Okanagan Lake is a vast body of water. It is 84 miles long, and its maximum depth is 761 ft. Because of its size, the water temperature takes a long time to change it acts as a sort of regulator. It keeps the surrounding areas cooler in the summer and warmer in the winter. Another mitigating factor is the rain shadow effect. The coastal mountains along the BC coast get lots of rain, but by the time the weather system has reached the Okanagan it has dried up. The town of Osoyoos (along the US border) gets just 12 inches (318 mm) a year. This is great for the vines because it keeps away the mildew that often plagues wine grapes. The plants’ need for water is easily taken care of with irrigation. And of course, you can’t grow grapes without the correct type of soil. 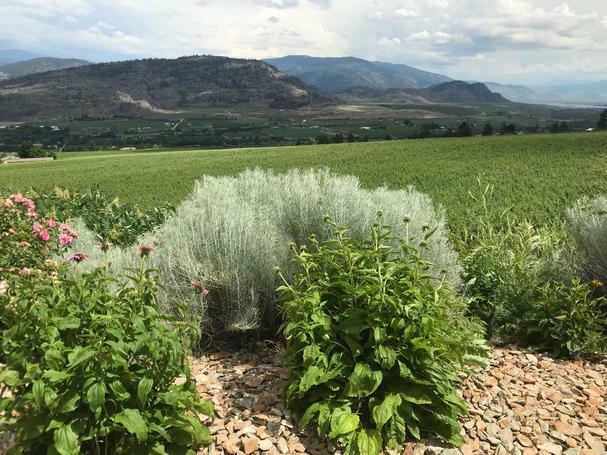 Because of the diverse terrain in the area, the Okanagan has many different microclimates and soil types. 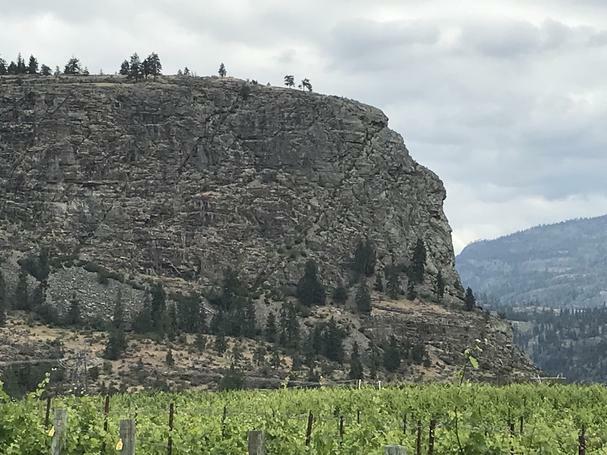 For instance, the sandy and loamy soil, with excellent drainage have produced some of our favorites from Moon Curser Vineyards (Osoyoos Region). 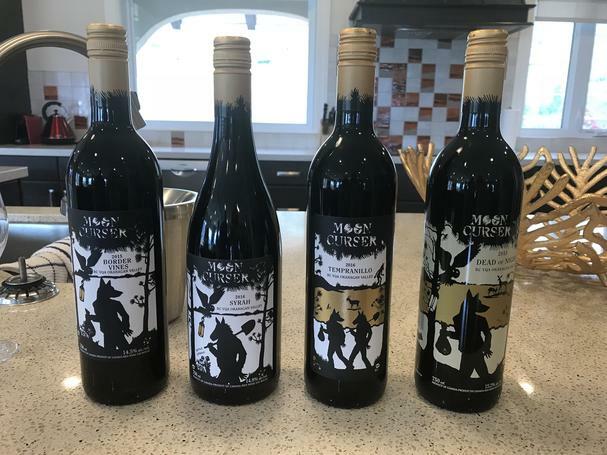 From naming their wines “Afraid of the Dark” (white blend of Viognier, Roussanne and Marsanne), “Dead of Night” (red blend of Syrah and Tannat), and their wine club named “The Highly Suspicious Wine Club” the folks at Moon Curser are clearly enjoying the local legends about smugglers in the area. During the gold rush, this area on the US border was prime smuggling territory for those minors who preferred not to pay taxes to the border agents. The moon was not their friend. But, you will want to be friends with their wines. We really enjoyed the Afraid of the Dark white blend. The peachy nose of the viognier makes it the perfect summer wine. The Golden Mile Bench district is home to many excellent wineries and is BC’s only (for now) officially designated sub-region (sub-GI). Because it is located on the western slope of the valley, the Bench gets morning sun and therefore has cooler summer afternoons. A prime destination is Hester Creek Winery. Hester Creek is not just a winery, there is also the Terrafina Restaurant and the beautiful Mediterranean-style villa suites for guests who’d like to spend more time soaking in the atmosphere. The six Villa suites are located high on top of the hill overlooking the vineyards. They are beautifully appointed with soaker tubs, granite countertops, king-sized beds, and décor that will have you waking up in an entirely different hemisphere. And of course, they each have a sweeping view of the vineyards. A short walk down the hill you will come to the Terrafina Restaurant. Chef Rod Butters started out in life hoping to end up in the Baseball Hall of Fame, but a shoulder injury forced him to rethink his trajectory. So, instead of throwing his 90 mph fastball, he ended up throwing heat in the kitchen. 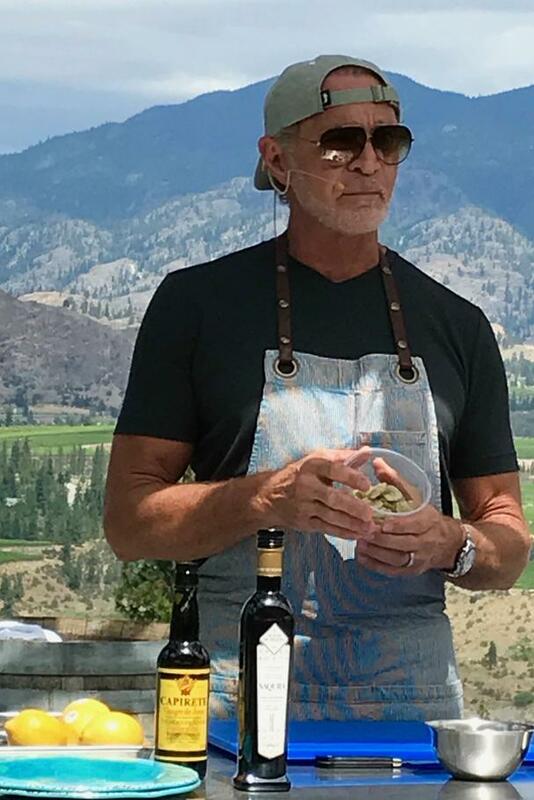 He trained in culinary arts at the Pacific Vocational Institute and has worked at top hotels and restaurants in Toronto, Vancouver, Whistler and Hong Kong. And in 2007 he was inducted into the B.C. Restaurant Hall of Fame! Before it was trendy to source your food locally, Rod was committed to this concept, even bringing fresh peas from his own garden for his Pea Soup Gazpacho, which was delicious! Also delicious were the wood-fired and very creative pizzas on the menu. The Terrafina Boards are a real treat! Served on a large wooden block, you can build your own treasure from a list of about 20 treats such as bread, warm olives, tapenades, charcuterie, and sausages, just to name a few. To go along with all this amazing food, we enjoyed a couple of Hester Creek wines. The Syrah-Viognier was fascinating, both by its full body taste and its appearance. The color of the red Syrah grape is actually deepened and darkened when blended with the white Viognier! We also enjoyed the Old Vines Trebbiano, which is a refreshing wine with apple notes. Trebbiano grapes account for around a third of all white wine in Italy. Hester Creek’s Trebbiano vines were planted 50 years ago, making this their Golden Anniversary year. It was just a short drive from our Tuscan experience to a whole other world. 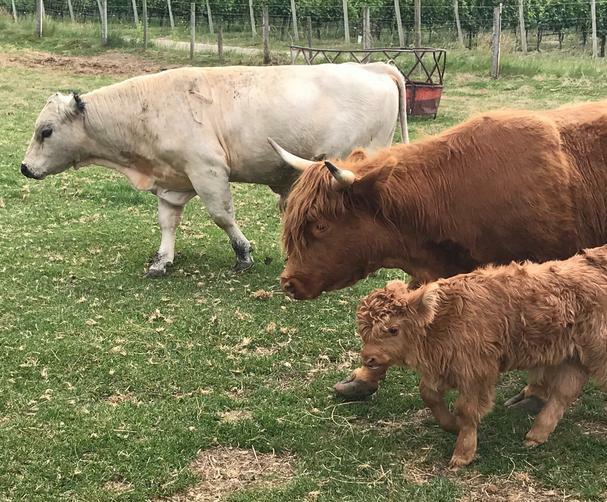 Covert Farms Family Estate (Oliver Region) is an organic farm, winery, produce store, wine bar, and all-around fun destination. You can spend some quality time with the resident herd of Scottish Highlander cattle and llamas. They are always happy to greet tourists who come with some fresh alfalfa for them to nibble. Then climb aboard the bright red vintage 1952 Mercury farm truck for a tour of their 650 acres. If you are lucky enough to be there in the spring – a favorite stop on the tour is the u-pick strawberry fields. But don’t forget – this is a winery! Favorites included the Amicitia Grand Reserve, which is a blend of Merlot, Cab Sauv, Petit Verdot, Cab Franc and Malbec. The warm notes of raisins, hazelnuts, and cherries made this perfect refreshment on the farm patio. We also really enjoyed the Grand Reserve Zinfandel with its zesty black pepper, figs and dried cherry notes. If you are feeling strong like a farm hand – you can try the McIntyre Bluff Trail, which begins at the farm. The 6.2 mile (10 km) trail takes you up to some beautiful views of the farm and beyond. Or, if you are genuinely interested in testing your limits, enter the annual Freakn Farmers adventure obstacle race. Not just your average run – the 20K course is sprinkled with 23 “farm-inspired” obstacles. How many hay bales can you throw? Bench 1775 winery has been named in the Top 15 Wineries in Canada and the Top 7 Wineries in BC at the 2017 National Wine Awards of Canada. The winery has excellent views and even better wines. Its vast list of individual wine awards includes many Golds, Double Golds, and even a Platinum or two. Time Winery in downtown Penticton is one of the more unique wineries we’ve ever visited. It is located in an old movie theater, built in the 1950’s. Owner Harry McWatters will preserve part of that heritage by holding movie nights and educational events. After all, he attended movies there as a kid growing up in Penticton. 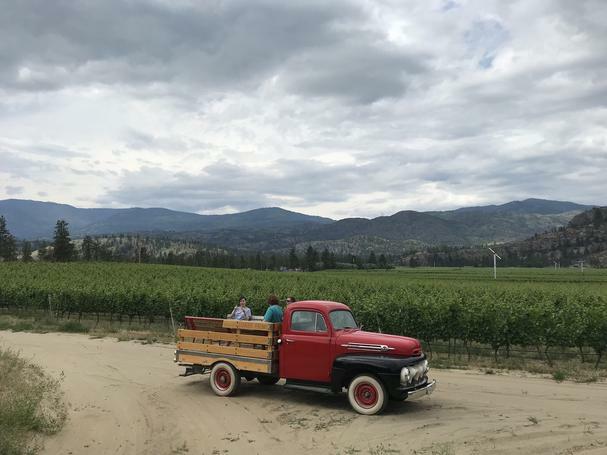 McWatters has been credited with being one of the pioneers of the Okanagan Valley’s wine industry. He marked his 50th vintage in BC in August of 2017. The term Meritage refers to wines made from a blend of two or more grapes of the Bordeaux varieties. The term was created in California when growers there began phasing out Bordeaux place names on its labels. McWatters negotiated the right to use the name in Canada and the first Canadian Meritage was released in the 1993 vintage. Time’s 2013 Meritage Red won Platinum in the BC Wine Awards. 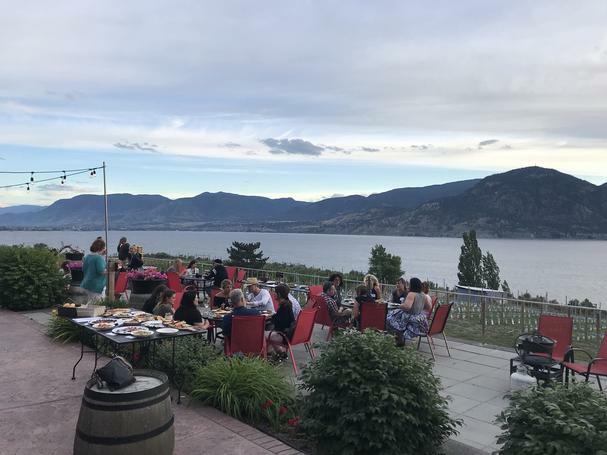 The See Ya Later Ranch in the Okanagan Falls area, was this year’s home of the “Chef Meets BC Grape – Taste of the Okanagan” event. 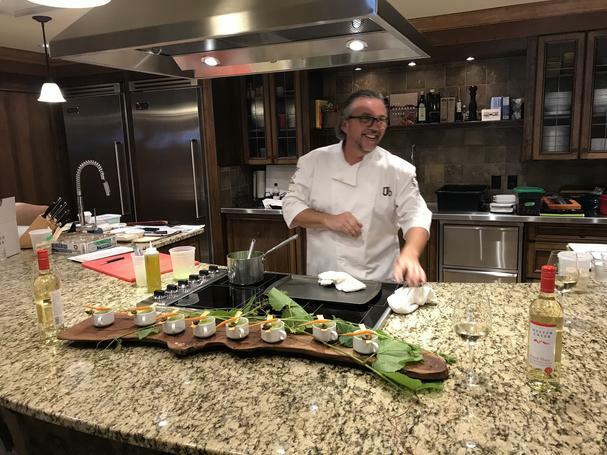 The festival was made up of 45 BC wineries and 12 restaurants offering tasting booths, samples and informative and fun seminars and chef s demonstrations. The See Ya Later Ranch winery is located at the top of Hawthorne Mountain, surrounded by gorgeous views. 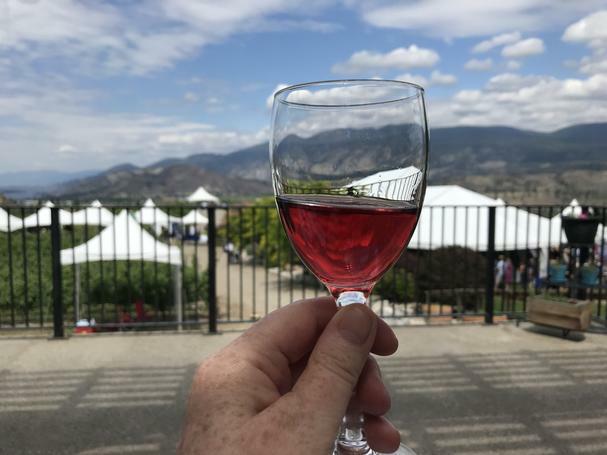 It was the perfect location to wander through 3 large tents filled with tasting booths or attend the chef demo in the pergola overlooking Skaha Lake. Celebrity chef Mark McEwan (Top Chef Canada) gave a very well attended demonstration of sea scallops paired with a nice dry Riesling. Another very popular event was Shades of Pink, a tasting seminar focusing on rosé wines, with wines from Quails’ Gate, Off the Grid Organic Winery, and Volcanic Hills Estate. While in the area, you don’t want to miss Liquidity Winery, Bistro and Gallery. 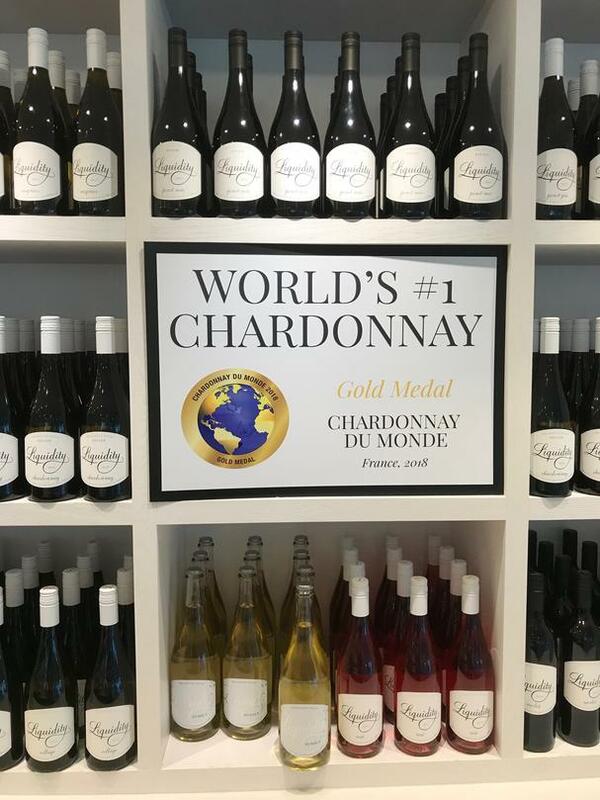 Among their excellent wines, the favorite of many is the 2016 Chardonnay Reserve, which won the number one spot in the Top 10 Chardonnays to receive Gold medals at the recent Chardonnay du Monde Awards in France. The Liquidity Tasting Room and Bistro is perched high in the mountains with a gorgeous view of Vaseux Lake. Their dedication to fresh, sustainable food is evident in the delicious and artful dishes, served at lunch and dinner daily and brunch on Saturdays and Sundays. Along with locally sourcing just about everything they serve, many of the vegetables can be seen growing outside in their own farm garden. Ian MacDonald, the hands-on President of the ownership group, is also the creative mind of Liquidity. Ian chose all of the design elements to create a stunning lobby, tasting room and bistro, all with an awe-inspiring view of the mountains over the edge of the infinity pool outside. The indoor and outdoor art installations feature artists who work in a variety of mediums – painting, photography, sculpture, etc. On display currently is the traveling exhibit of the National Geographic Society. It is an indoor/outdoor exhibition which showcases the work of photographer Joel Sartore in the National Geographic Photo Ark project. It is an ambitious project committed to photographing every species of animal in captivity. It is on-going, with Sartore estimating that in the end there will be over 12,000 portraits of different species, including birds, mammals, reptiles, amphibians, and invertebrates. 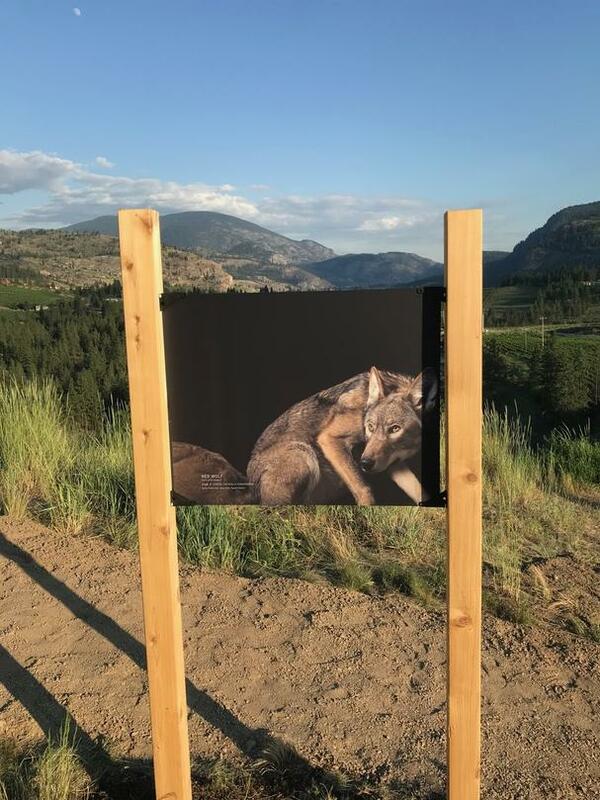 The exhibit at Liquidity features more than 40 of these compelling images, where you come face-to-face with the animals of the Ark project. The exhibition had been traveling to museums and schools around the world, but it had never occurred to the Society to have their project displayed in a winery until Ian launched his successful campaign! The exhibit will be at Liquidity June 23 to September 3, 2018. At Fitzpatrick Family Vineyards the catch line on their website says it all: A Little Sparkle by The Lake. This winery produces some wonderful still wines, but they really specialize in the sparkling varieties. The estate grows the building blocks of champagne, Pinot Noir, Chardonnay, and Meunier. As always – the location and terroir play key roles in producing great wine. Here the sun shines from early morning throughout the day but combines with a critical early evening shadow that reduces acid metabolism in the grapes, which is key to creating a great sparkling wine. 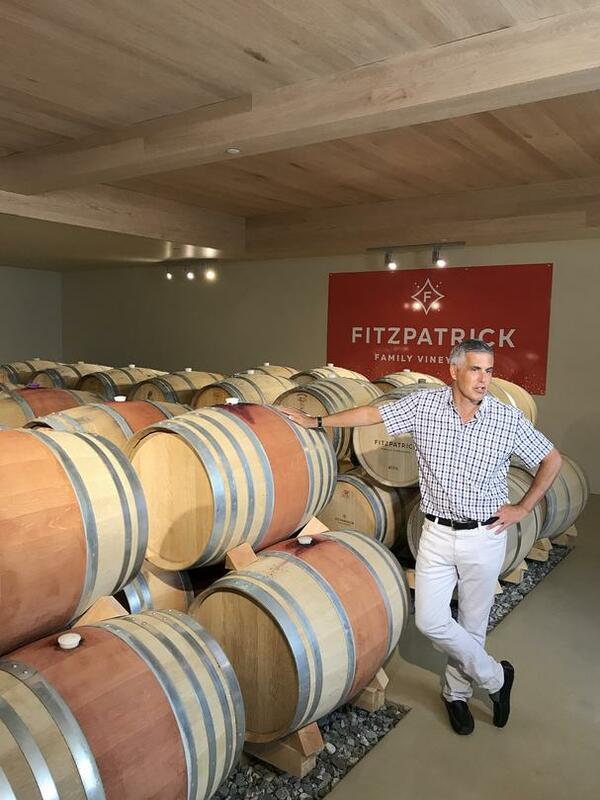 While there are short-cuts that other winemakers might take, at Fitzpatrick they use only the traditional method, which means that the wine ages on its lees (sediment of residual yeast and grape particles) for a minimum of 2 years, sometimes 3. Their wine is also 100% estate grown. So what could be better on a hot day, than sitting on an extremely comfy chair, overlooking the beautiful Okanagan Lake while sipping some delicious Sparkling Rosé! 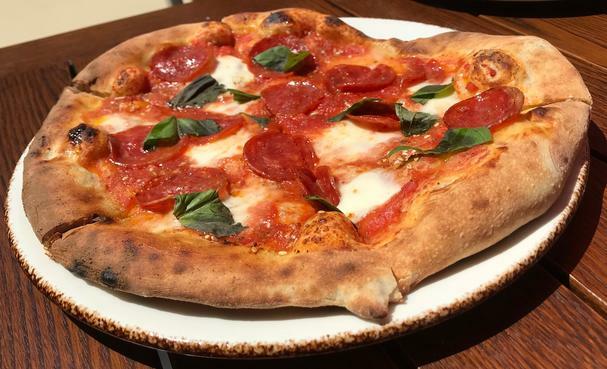 Of course, you’d also want to indulge in one of their incredible wood-fired pizzas, possibly the Hunter, topped with elk salami, roasted garlic, fresh oregano, shredded confit duck, arugula and shaved parmesan. The pizza dough is actually fermented for 36 hours before baking – which gives it a unique crispy and slightly tangy flavor. Quails’ Gate winery is a favorite stop. It has been family farmed since 1908, and has seen a lot of changes (all improvements) over the years. When you visit, you can check out the original farmhouse, then stroll down the path to the beautiful tasting room and Old Vines Restaurant, named one of the top 100 restaurants in Canada. You can read more about our visit to Quails’ Gate here. If you are looking for a place to stay – look no further than the Grand Okanagan Resort. Located in the heart of Kelowna, many of the recently renovated rooms offer a dramatic view of the lake and mountains. The centerpiece of the lobby is the Oak and Cru Social Kitchen and Wine Bar. Led by Executive Chef Daniel Craig, the restaurant offers a culinary experience that honors globally inspired cuisine prepared with locally sourced ingredients. His expertise perfectly balances the traditional and the innovative – creating a menu that highlights and compliments the extraordinary wine bar. The wine cellar of over 300 labels, also provides the best Okanagan wine-by-the-glass experience. They also feature craft cocktails and a great selection of local craft beers. 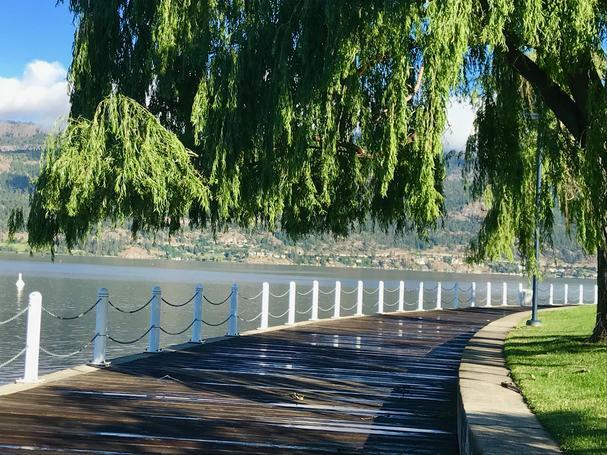 While you might be tempted just to drink and eat your way through the Okanagan, there are plenty of enjoyable activities to work off some of the calories. From kayaking on the lake, swimming at any of the numerous beaches, to hiking Knox Mountain, there is no shortage of activities. 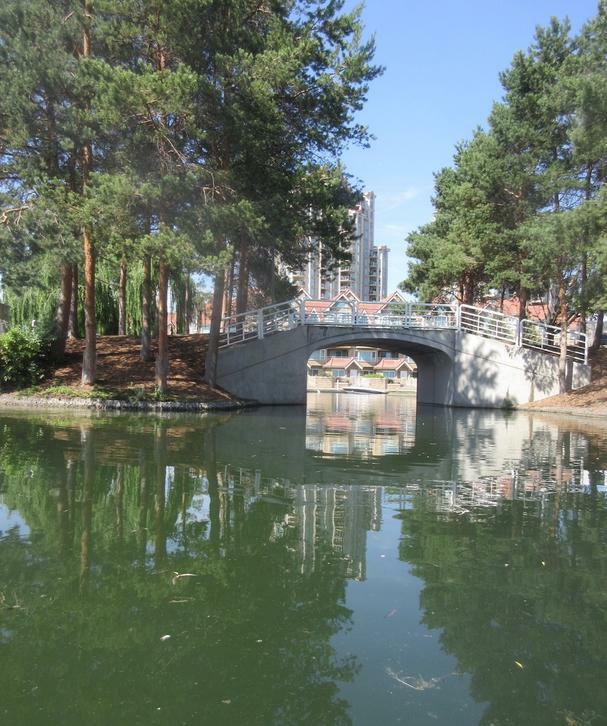 For those looking for a leisurely stroll, there is the 2 km Waterfront Boardwalk, that connects with the Rotary Marshes wildlife park. So, did we say that British Columbia is not often thought of as a wine region? That is definitely changing! USA Today’s Readers’ Choice 2014 Awards names the Okanagan Valley as the world’s second best wine region to visit! It was beaten out for number one by a region in south-central Portugal. The Okanagan wine region is growing and getting better all the time. And now – it is officially world class! Please note that food and lodging were complimentary. While this has not influenced this review, the writers believe in full disclosure.